Rout in US stocks in the overnight trade, followed by a slide in Asian market peers indicate a negative start for the domestic stocks on Wednesday. That apart, investors are likely to take a cautious stance ahead of RBI's monetary policy outcome, due later in the day. At 08:35 am, the Nifty futures on the Singapore Stock Exchange (SGX) were trading 52 points or 0.48 per cent lower at 10,860.50. Kesoram Industries: BK Birla group firm Kesoram Industries said Tuesday it will spin off its tyre business into a separate entity, which will then become a publicly traded company. 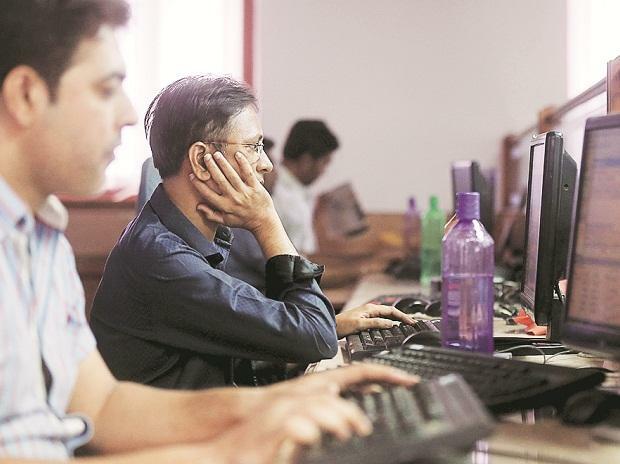 Rate-sensitive stocks: Financial, auto and realty stocks are likely to remain in focus today as RBI will announce its fifth bimonthly monetary policy decision of FY19, later in the day. Tata Motors: S&P Global Ratings on Tuesday lowered the credit rating of Tata Motors and its luxury car unit Jaguar Land Rover Automotive Plc (JLR), citing weaker-than-expected profitability at JLR. S&P cut its rating on Tata Motors’ issuer credit and senior unsecured notes to ‘BB-’ from ‘BB’. The ratings remain on negative watch, reflecting the uncertainties for JLR from a fast-approaching Brexit deadline, Reuters reported quoting S&P as saying. InterGlobe Aviation: Ronojoy Dutta, who has earlier served United Airlines executive and Air Sahara president, on Tuesday joined IndiGo as principal consultant. He will report to interim Chief Executive Officer (CEO) and founder Rahul Bhatia. Lupin: The drug firm on December 4 said it has launched generic Silodosin capsules, used for treatment of signs and symptoms of benign enlargement of the prostate gland, in the US market. The company's product is generic equivalent of Allergan's Rapaflo capsules, it added. Oil India: The company successfully commissioned the Cyclic Steam Stimulation (CSS) Technology in the well BGW - 8 in Baghewala PML of Rajasthan for extraction of heavy crude oil for the first time in India. The project was commissioned under the guidance of Dr John Belgrave of Belgrave Oil & Gas Corporation, a Canada-based consulting agency.